Cladophora is genus of reticulated filamentous and photosynthetic green algae. 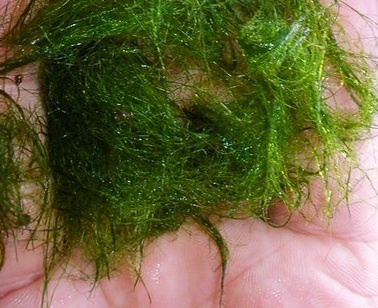 Commonly known as blanket weed, this is a very common and cosmopolitan pond algae, and the dense growth of its hair-like green strands that float under, or on the surface, can be a major nuisance. Beyond this annoyance, Cladophora is an extraordinarily fast growing filamentous algae and can grow up to two meters a day. 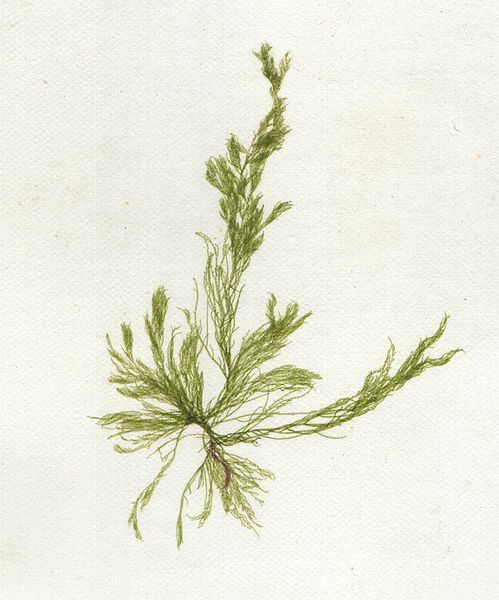 It now seems ripe to capture its remarkable properties and I am now investigating the possibility of using this algae as a sustainable source of natural fibres that could be woven to produce textiles similar to wool and cotton for example. Scientists at C-MOULD have acquired a number of strains of Cladophora and are investigating the suitability of these for use as textiles. See first harvest. We’d like to screen as many strains as possible though, so I’d be very grateful that if you were to come across any blanket weed, you could let me know so that I could arrange to collect it and begin to work on it. If you could photograph it too that woud be great. Thanks Suzanne. Very interesting. I’m after something that’s minimally processed and blanket weed seems to fit the bill. Hopefully, I’m soon to be in possession of two strains of Gluconoacetobacter xylinus which produce a lot of cellulose. Let me know if you fancy playing with them!